How much protein on Keto? How do I start Keto? How do I maintain a Ketogenic Diet? What are the best Keto macronutrients? How many carbs should I eat per day on Keto? How to beat sugar addiction? Are there anyways to make Keto easier? What do I do if I’m not hungry on Keto? 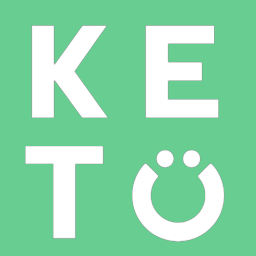 Reduced hunger is a common occurrence on Keto. Calorie restriction can provide numerous health benefits making it okay to not eat if you’re not hungry and feeling good. However, chronic severe calorie restriction can be problematic. Chronically under eating can result in weight loss plateaus, hormonal issues, and disrupt other functions in your body. This is especially true for women. If you are too low on calories for too long but you aren’t hungry, try consuming more calorie dense foods with your meals or add things like protein shakes which are easier to consume when you aren’t hungry. How many meals should I eat a day on Keto? Should I count calories/macros on Keto? How is the Keto Base different than MCT Oil Powder? Why am I struggling to get into/maintain ketosis?